Water is a critical part of California’s way of life. The economy, environment and day-to-day lifestyle need water to flourish. But California’s water is limited – especially during this historic drought. The lack of rain and snow this winter means we have to stretch the water that we do have. The good news…it’s easy to keep saving! There are lots of simple ways to reduce the amount of water that we use at home, both inside and outside. The toilet alone accounts for almost 30% of indoor water usage, according to the Environmental Protection Agency. It’s also a major source of wasted water due to unidentified leaks and misuse. Here’s one way to tell if a toilet is leaking: Place a few drops of food coloring in the tank. After at least 10 minutes — don’t flush while waiting — look for color in the bowl, if you don’t see any, great, if you do, you should replace the flapper valve. Swap out older toilets, faucets, and showerheads with new ones that meet EPA standards. Look for the WaterSense label. Some WaterSense products also offer rebates. Another old trick — putting a brick or heavy object in the tank to displace the amount of water required to fill it — is getting a modern upgrade. Drop-A-Brick is a fake brick made from rubber and hydro-gel that can bend and squeeze so it fits into many tanks and achieves the same goal. The kitchen sink is the mini-shower and bathtub of the house. We wash everything from our cats to our carrots in it. Rinse fruits and vegetables in a pot of water instead of using the tap. When done, water your plants. You can also water your plants with leftover drinking water. Use less dish soap to avoid using more water when rinsing. Install aerators on faucets. They can cost as little as a few dollars, and they limit the flow of water. Don’t use water to rinse off leftover food, scrape particles. If you have a drippy faucet, and limited motivation to fix it, download the free Drip Detective app. It calculates the amount of water and money you lose per day, week, month, and year based on the number of drips you observe. And now the laundry room. To conserve water when treating stains, some DIY blogs recommend using natural products instead of solutions that require pre-soaking. To get stains out of a white shirt, squeeze lemon juice on the problem areas and leave the shirt in the sun for a few hours for a bleaching effect. Try rubbing chalk on grease stains, says Apartment Therapy. If you’re planning to upgrade to a new washing machine, an easy way to find the most water efficient one is to look for a low “water factor,” the EPA recommends. A three-cubic feet machine that uses 18 gallons of water per wash cycle has a water factor of 6.0, for example. A lower number means a more efficient machine. Appropriate Plant Selection: Select trees, shrubs and groundcovers based on their adaptability to your region’s soil and climate. California has an abundance of beautiful native plants which generally have lower water demands, fewer pest problems and less fertilizer needs than plants that have been brought into our state. Check with a local nursery or home improvement store. Efficient Irrigation: Most people water their landscaping more than it needs. The greatest waste of outdoor water is applying too much too often. Remember to water early in the morning or later in the evening when it’s cooler and there is less evaporation. Mulch: Use mulch wherever possible. A good mulch conserves water by significantly reducing moisture evaporation from the soil. Mulch also reduces weed populations, prevents soil compaction and keeps soil temperatures more moderate. Maintenance: One of the best benefits of a water-wise landscape is that it requires less maintenance. A well-designed landscape can decrease maintenance by as much as 50 percent through reduced mowing; once-a-year mulching; elimination of non-California-friendly plants; and more efficient watering techniques. 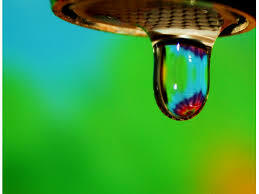 There are a number of websites that offer helpful information, tips and recommendations for water conservation.